This is a separate ticketed event and must be purchased in addition to any convention registration package. The Gala Dinner & Show caps off the four-day Convention with a unique opportunity to relax with colleagues, spend some more time networking, and have some fun enjoying good food and entertainment. This year's entertainment is Kool & the Gang. 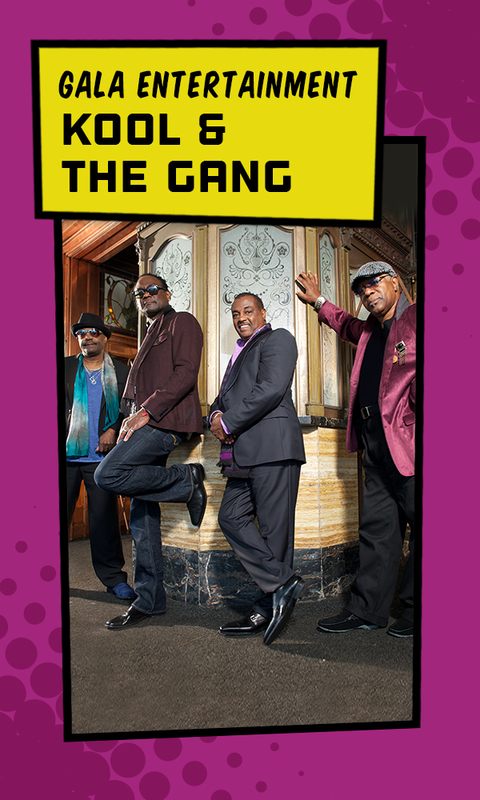 The band has influenced the music of three generations of artists, and after 50+ years, Kool & the Gang are ture industry legends. Thanks to iconic songs like Celebration, Cherish, Jungle Boogie, Summer Madness and Open Sesame, they’ve earned two Grammy Awards, seven American Music Awards, 25 Top Ten R&B hits, nine Top Ten Pop hits and 31 gold and platinum albums. most recently alongside Kid Rock, Dave Matthews Band, Elton John, The Roots and in a 50-city tour with the legendary rock band, Van Halen.